The importance of teams that work together well can’t be understated! The heart of a good team is the leader. It doesn’t matter whether you’re a CEO running a top management team or a supervisor with a handful of people you’re responsible for, the team meshes firstly around the leader and secondly around the task at hand. He or she needs to stamp their authority on the team. Not with negativity, a blame culture or an iron fist, but with positive encouragement, with congratulations and with a listening ear to address each members personal motivation. They must also keep an eye out on the processes and systems they use to ensure the team is working to the best of their abilities. Should a team member be struggling or a process/system creating a bottleneck, then the leader must step in to resolve the issue. The team must also know that the leader is in charge and the leader must know that the buck stops with them. They are the ones that will be blamed should the team fail at a specific task, so it’s up to them to ensure the team do it right, first time, every time; they can pass responsibility downward, but not blame. As for the task at hand, to do that successfully, a combination of personality, natural talent, training and teamwork is needed. Be it a football match, a life-saving operation or the meeting of targets and KPIs for managers and business owners further up the organisation … the team must work together at all times. Not only can I help you find the right people, but I can define the processes and systems that need to be followed so that the team can work at its best. I can train the team leaders in the art of leading and will I help senior management define the KPIs they need to see to ensure the organisation is running profitably. At 4P Business Development, we excel at team building and we’d love to help you boost your profitability by ensuring your teams work efficiently towards to goals of your organisation. 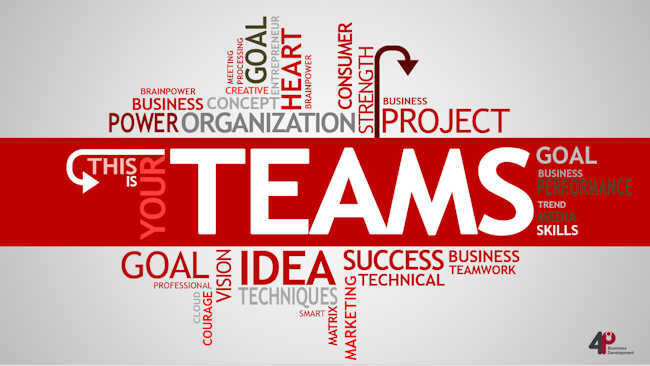 The importance of teams can’t be overstressed so if you feel you need some help then do call me on 01280 700405 or click here to ping over an email and let’s get your teams working efficiently. Emotional Intelligence assessments can Motivate your team and boost productivity! It can be formally defined as a constellation of emotional perceptions assessed through questionnaires and rating scales. Emotional Intelligence essentially concerns our perceptions of our inner world. As a result, they are more likely to have the edge they need to lead, manage, and perform in today’s competitive and complex marketplace. They are also adept at dealing with stress, low morale, conflict and change. The Emotional Intelligence Assessment will help you identify the external candidates and employees who can thrive in a dynamic, changing environment. It can also determine the areas your people need to develop going forward. And because emotionally intelligent managers have fine-tuned people management skills, their teams tend to perform well, they’re motivated and have high morale, which contributes to staff loyalty and great retention. To what level does this person modify their behaviour to suit changing situations? It will help improve communication and personal engagement, develop a more motivated team, and generate higher productivity. At 4P Business Development, my team use a number of different personal Emotional Intelligence tools centred around the Trait Emotional Intelligence Programme. I am an accredited and qualified practitioner in EI through Thomas International. 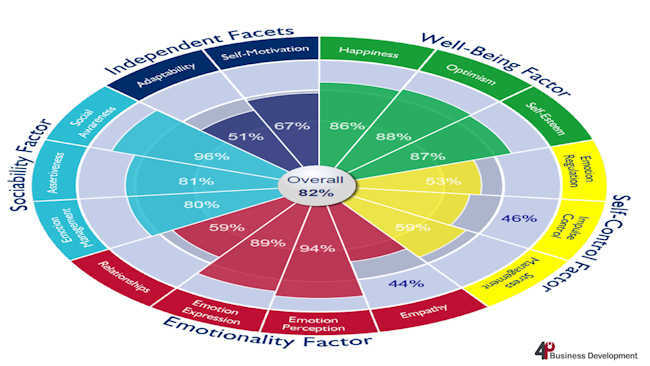 If you would like to find out more about Emotional Intelligence Assessments and to explore if they would help you in your business, do call me on 01280 700405 or click here to ping over an email and let’s see how I can help you. Personal Profile Analysis can help you recruit the right people! The more you know your people, the more you can effectively control and manage your business. Our techniques and tools allow us to develop deep insights about your team, where their skills lie and what engages and motivates them to work at their best. 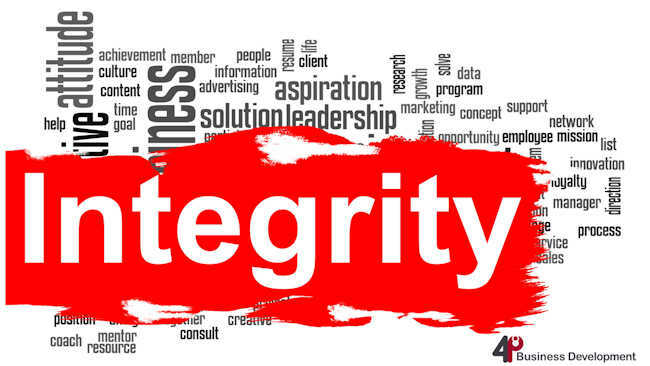 At 4P Business Development, we use a number of different personal profiling tools. I’m an accredited and qualified practitioner in Personal Profiling through Thomas International. Used by over 5,000 UK businesses, the Personal Profile Analysis (PPA) takes less than 10 minutes and is based on multiple choice questions. Now you may wonder what you can reveal about a person in that time, but you’ll be quite surprised on what you can see when you shine a light on someone’s psyche. “Before the test, I had strong doubts that a multiple-choice quiz could shine any light on my complex inner psyche. Seven minutes and one report later, I don’t seem so inscrutable after all. The PPA itself was an underwhelming experience, made up of 24 questions that asked me to choose which of four adjectives most and least describe my behaviour in the workplace. One question asked me to choose between good mixer, cultured, vigorous and lenient, while another included jovial, precise, courageous and even-tempered. As any one of these adjectives could apply to me in different situations, I soon ended up clicking through rapidly without giving my answers much thought. If you hire people just because they can do a job, they’ll work for your money. But if you hire people who believe what you believe, they’ll work for you with their blood, sweat and tears. But also remember, the cost of having the wrong person in the team is too high; in fact, it can become a complete disaster. Don’t leave it down to fate, let my team and I help develop your people and drive your growth. If you would like to find out more about Personal Profile Analysis or if you feel this process would help you in your business to build and develop a great team, do call me on 01280 700405 or click here to send me an email and let’s see how we can help you.